The news was about as shocking as it was expected: Amy Winehouse Dead at 27 Years of Age. The talented performer, with a notorious lifestyle, lost her battle over addition to substances. The tragedy is that another promising young star has been lost, silenced at a time when she should have begun to really explore the depth and range of her talent. Unfortunately, Amy Winehouse now joins a long list of performers who have died at a young age. Many of these were also Amy's age, 27. The likes of Jim Morrison, Kurt Cobain, Jimi Hendrix, Janis Joplin and Brian Jones all perished at that age. Of course, the tragedy from all of these deaths is the loss felt by the family, friends and fans. The anguish resulting from these untimely passings affects so many people, all of whom are left with their grief and their questions. Perhaps it has been more tragic for Amy due to the recognized fact that so much of her life was leading her towards such a dire end. The fact that no one could help her to overcome her problems and let her change her life to a more peaceful existance is perhaps the most tragic aspect of all. Amy Winehouse's parents are not alone in their grief for a daughter lost so young. Her story is unusual only for the fact that she was so famous. Far too many other parents of regular children have seen the same destruction, at the same age or even younger. In many ways, performers in the public eye are exposed to so much more pressure, causing them to take fatal choices. Normal children, however, can be lost as they also descend into a life where artificial stimulants are used to excess. The combination of addition, depression and stress is an incredibly dangerous mix. Many lives have been shattered as a result. Regretably, there will be more such cases despite the lessons that might be offered from Amy's life. If you are a parent of a young performer or a child that seems to exhibit a similar tendency for depression and addiction, you should do what you can to reach out to your child. Intervention is a necessity. Removal of the victim from the immediate problems of their life is a key. There can be little chance of redemption if the person remains among the people, conditions and vises that have caused them such danger. Such an intervention may not be successful, of course, but you must try. Clearly Amy's parents were not able to rescue their daughter before it was too late. They can hopefully gain some peace from the knowledge that they did try. It's not just young singers who pass away too quickly. The world lost actors Cory Montieth and Heath Ledger as well. These men perished as the result of unintended drug overdoses. One has to wonder if they were with others if they might have lived. It is tragic when people are alone, even briefly, and their actions cause their demise. If only they had been with friends or family, they might have been saved. The bigger they are, the harder they fall. This may be true, but it may also be that the stars have more ability to obtain help. There are a lot of treatment centers that they can use. They often have enough money to pay for quality care. Just do it. 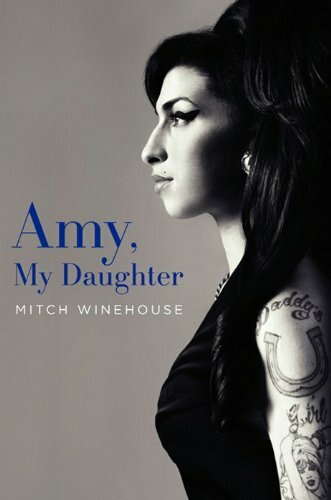 Written by Amy's father, Mitch. He relates many personal memories of the young person's life. This book must have been extremely difficult to write but Mitch has done a great job. The publication has received rave reviews. While the topic is extremely sad, of course, fans were happy to read the book in order to obtain some understanding of Amy. Mitch is not an award winning author, but a father whose pain is quite evident here. Since Amy Winehouse passed away, some other celebrities have passed as well. Some have been tragic, just like Amy. The lose of young people, let alone celebrities, is too hard on society. In addition to the fans, the family is severely impacted by the death of young people. If people have trouble coping with substance abuse, they should seek better treatment, and better friends. Many times, a person's associates conspire to keep them in harm. If this happens, the person must get out of the situation. In the case of a performer, they should take a break from the destructive life, possibly forever. The lose of the celebrity status is nothing compared to the potential loss of life. Other celebrities have passed away as well, of course. Such stars as Janis Joplin, Jimi Hendrix, and Robin Williams, have been lost too early. In the case of Robin Williams, the reason is perhaps easier to understand. The others were not. All were lost in circumstances that made the world take notice. Society was better with these stars around. Substance abuse is a terrible burden for those afflicted. In most cases, total avoidance is the only way to prevent future trouble. It's like tobacco. When a person quits, they often just need a single relapse to become a habitual user again. For many substances, however, people are unable to handle prolonged exposure. Overdose is often fatal. There are helpful agencies in all areas. They can provide information, and interventions. The person, however, must want to be saved. Just as no one can lose weight for another person, no one can live a cleaner life for another. There are ways that people can be helped, though. Often the correction facilities are staffed with people who have beaten the same addicting substances as the clients. These people are the experts. They know how difficult the process is, and how it can be accomplished. If you are in need of help, be sure to search your local area for the prevention and recovery groups that will help you. I remember when I first heard one of her songs. It was a big hit on the radio and practically new to me. Then just as soon as she came onto the scene, she left. There was a music count down some time ago on VH1 that payed tribute to various things involving music/artists that made a lasting impact on the circuits. Thanks for sharing this article. Ironically I think Amy was trying to get help for her addictions and stay drug and alcohol free at the time of her death. The one final binge was too much for her body to take. 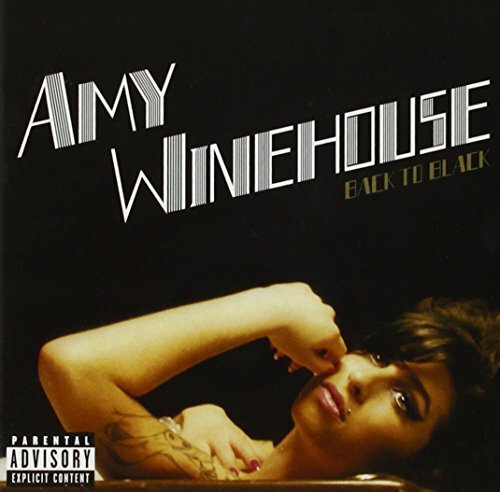 Rehab is the only Amy Winehouse song that I know of. It's sad that drugs are still key players in peoples' deaths. Well done article on a sad subject. Drug-related deaths are always tragic because they SEEM so avoidable from the outside. However, we never really know the mind and actions of another person. Amy Winehouse died of Alcohol Poisoning as I understand it, but I have read that she had multiple issues such as depression, eating disorders, and other drug abuse history. I think that often excessive tendencies cross all boundaries: excessive talent, accomplishment, skill, and behavior. Moderation may be the key, but I guess it is impossible to change the behavior of others. Good article. Thank you.